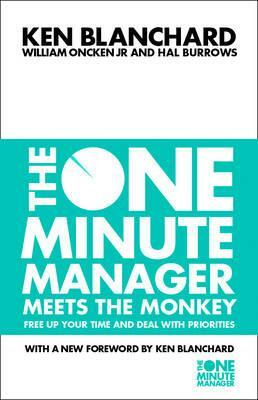 How management can effectively rid themselves of `monkeys' - other people's responsibilities that cling to them and prevent them managing efficiently. This book explains in simple-minded if abstract terms how to achieve a balance between supervision and delegation for reduced tension and improved productivity in the workplace. Ken Blanchard, PhD is one of the most influential leadership experts in the world. He has co-authored 60 books, including Raving Fans and Gung Ho! (with Sheldon Bowles). His groundbreaking works have been translated into 42 languages and their combined sales total more than 21 million copies. In 2005 he was inducted into Amazon's Hall of Fame as one of the top 25 bestselling authors of all time. The recipient of numerous leadership awards and honors, he is cofounder with his wife, Margie, of The Ken Blanchard Companies (R), a leading international training and consulting firm.